Rep. Elijah Cummings (D-Md. ), the chairman of the House oversight committee, is accusing President Donald Trump of reaping substantial financial benefits from his White House job. In a “60 Minutes” interview that aired Sunday, Cummings asserted that Trump was making “a lot of money” from the position, implying he was doing so against the law. The matter in question is whether the president is seeing an increase in revenue from his business ventures, including golf courses and luxury hotels. 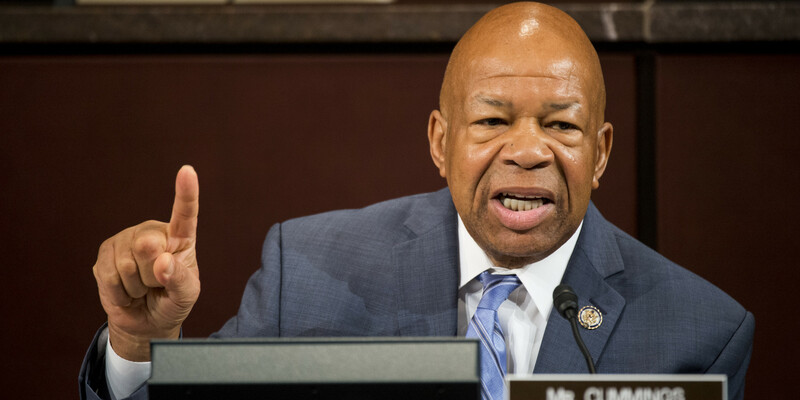 Cummings has made clear his mission to serve as a check on the Trump administration, his staff having sent a total of 51 letters to the White House, the Trump Organization and government officials in search of documents concerning potential investigations that may be launched by his committee. Among the issues being examined are cabinet members’ private use of government aircraft and foreign money within the president’s businesses. Trump has already run into trouble on the latter item, being sued by the attorneys general of Maryland and the District of Columbia who’ve accused him of violating the constitution by taking payments from domestic and foreign governments via his namesake hotel in Washington. While certain Democrats believe that Cummings should advocate for Trump’s impeachment, he contends the move would be premature and has also taken an interest in spearheading other initiatives including skyrocketing prescription drug prices.